The pressure-sensitive label manufacturer Adco has launched a new security label hologram for the drinks industry printed on Lecta’s Adestor Gloss 80g. 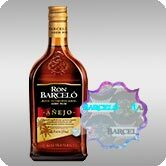 Adestor Gloss, a bright white standard gloss, used extensively for labels within the drinks industry, together with A251 standard adhesive and glassine white 80, has been selected to label the Ron Barceló Dominican rum image with a hologram. The hologram is applied though stamping to provide brand security and protect against imitations and manipulation. Holograms make for eye-catching labels that enhance your brand image and make your product standout. For further information on Adestor products please visit www.adestor.com for technical data sheets and full details of Lecta’s pressure-sensitive materials.